Rajinikanth and Akshay Kumar’s ‘2.0’ box office earnings stay’s strong even a week after the release. Well, as soon as the film came, many old records were broken, but now the film is now looking to make a new history of Bollywood. The film has touched a golden figure of 500 crores in the world wide 7 days. The Hindi version of the movie, where the world wide 488 crores was earned on the 6th day, on Thursday, the film has crossed the 500 crores mark on Thursday to beat the total earnings of ‘Bahubali’. On Thursday, Hindi version of the movie has earned Rs 9.50 crores. Together, the Hindi version of Hindi film has earned a total revenue of Rs 132 crores. This film has become special for Bollywood, making so many records.This movie has become Akshay Kumar’s biggest film so far. 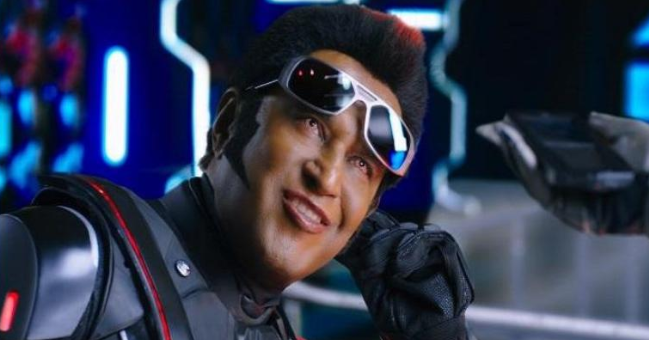 There is also the 10th film ‘2.0’ which cross 100 million. On this occasion, Karan Johar, owner of Hindi version’s partner Dharma Productions, is also celebrating the success of the film. Karan has tweeted a new poster with a figure of 500 crores. Here Karan has written that he is proud to be a part of the film.